Sea Breeze Apartments are fabulous and in a perfect location. They are perfect for singles, couples or families. They are spacious, well presented and can sleep up to six people in Apartments 2 and 3 and a family of four in Apartment 1. Each Apartment has its own TV, a private entrance, car parking space and heating. All linen and towels provided. Key box and free WiFi. 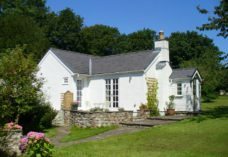 Fantastic location opposite the beach with flat walks or walk the beautiful cliff paths of Gower with fabulous views. On the bus route. Nearest pub/restaurant is only 8 minutes’ walk across the dunes or beach. We have surfing, horse riding, wild life, roaming horses and sheep, castles, old churches, yet only 30 minutes’ drive to Mumbles with its shops, castle, pier, lighthouse, boating and sailing. Choice of restaurants and cafes within walking distance and lots more beaches and restaurants within 20 mins drive. We have it all. Apartment 2 spans two storeys and has the advantage of a wooden veranda with table and chairs from which you can see the sea. Apartment 2 sleeps up to six guests in two bedrooms; one double and one twin and a bed settee in the ground-floor lounge. Bed linen is provided. The shower room comprises an extra large walk in shower, wc and hand basin. Towels are provided along with some complimentary gel. There is central heating throughout the apartment. The balcony is off the dining room and easy to serve as the kitchen is also on the first floor. The fully fitted kitchen/diner benefits from an electric cooker, microwave, fridge freezer, washing machine, kettle and toaster. The lounge is on the ground floor has laminate flooring, 2 settees, digital TV and DVD player. Please note that smoking is not allowed inside the property and we are unable to accept pets. Parking central heating free WiFi, key box. Have special requirements? Call Monica Stratton on 07815 943434 or 01792 515437.